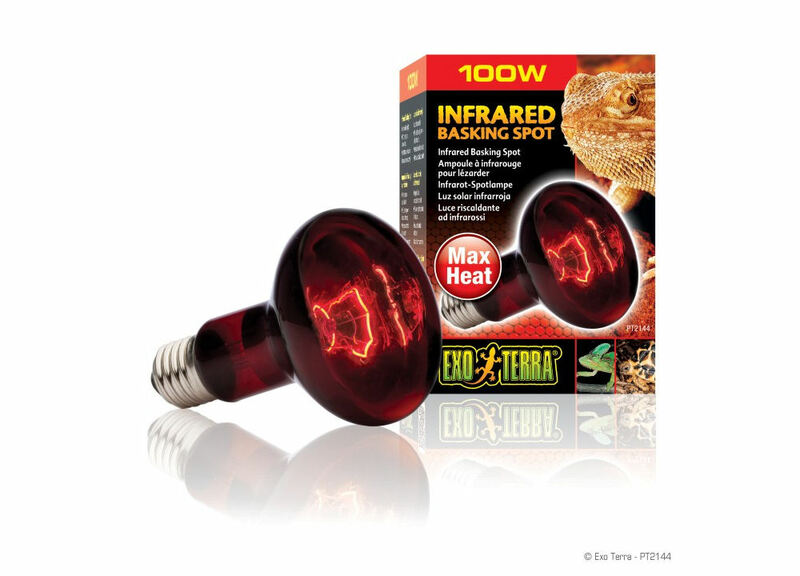 Exo Terra (Red) Infrared Basking Spot Lamp 100W | Livefood UK Ltd. 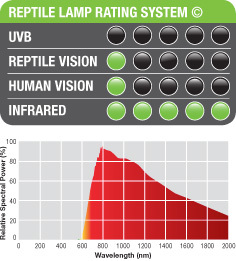 The spot lamp has a special build-in reflector to direct the heat in any direction required. 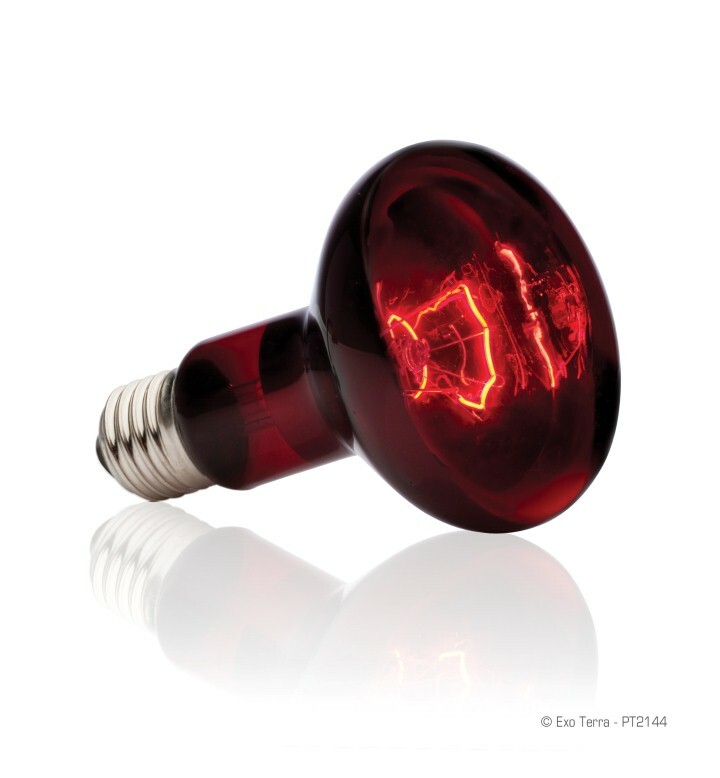 The red glass transmits Infrared waves produced by the special filament of the bulb. The reddish light will not disrupt normal activity during night or day, which makes it an excellent 24 hours heat source.